The recent cold weather snap is really putting a premium on winter comfort food and nothing fills that need better than dumplings. 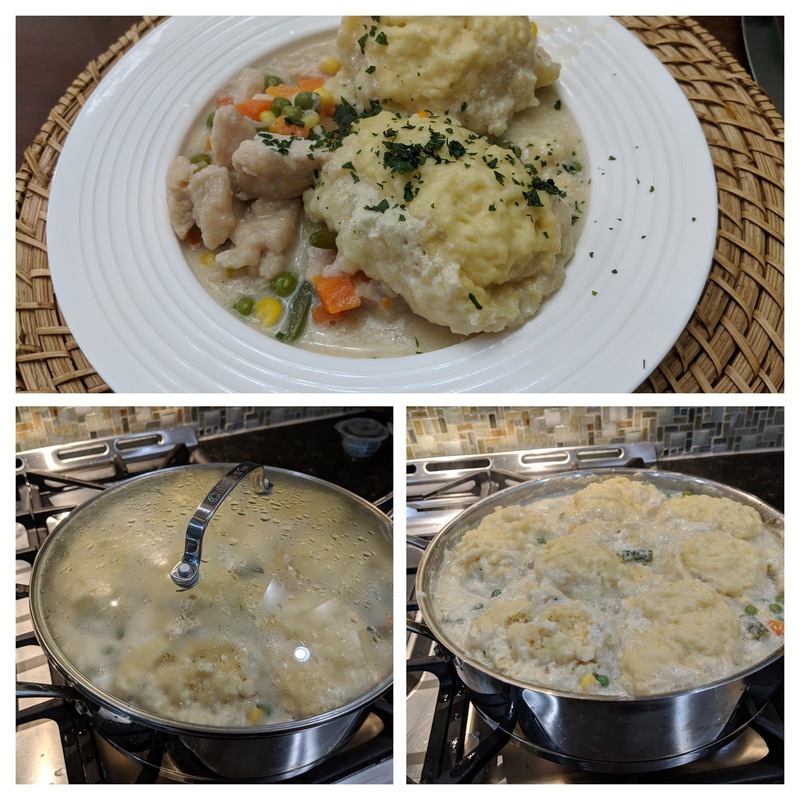 This recipe, unlike many others I've posted, requires minimal slicing and dicing, and even the dumplings require minimal mixing. Vary the amounts of chicken and veggies to your liking. Playing with recipes and making them your own is half the fun.